Rafting - Visit Maupin, Oregon. Surrounded by beautiful high desert scenery and steep canyon walls, the Lower Deschutes River rolls and tumbles as it makes its way north to the Columbia River. 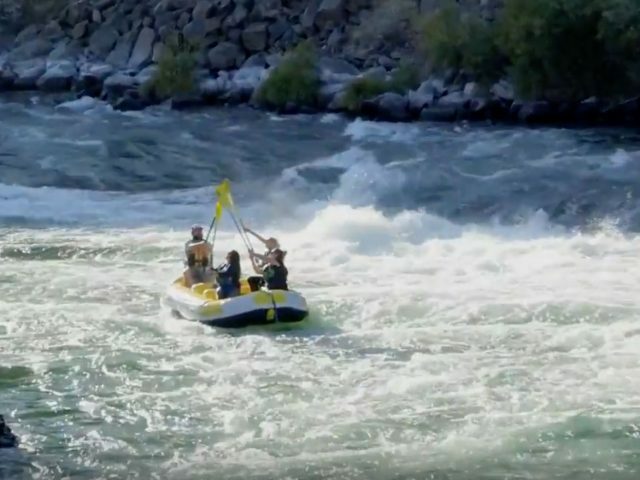 Whether you’re a veteran river runner or a first-timer, the Deschutes offers an unmatched whitewater experience. From exciting full-day and half-day trips to unforgettable overnight rafting and camping adventures, the Deschutes promises to thrill. Boasting class I-IV rapids, the Deschutes has a run for everyone. You’ll scream with delight as you splash through Box Car and Oak Springs rapids, two of the most famous plunges on the Deschutes River. Maupin’s experienced guides and outfitters can attend to every detail and ensure you enjoy the best whitewater rafting adventure.